The sonic material is past for a series of transformations base in algorithmics and traditional methods of composition develop by Hugo Paquete. Connecting and collecting different sound material from differentncollaborators and without a previous selection construct a social and artistic possibility to generate aesthetic content base in the power of computer algorithmic to compose in a randomatic aesthetic. 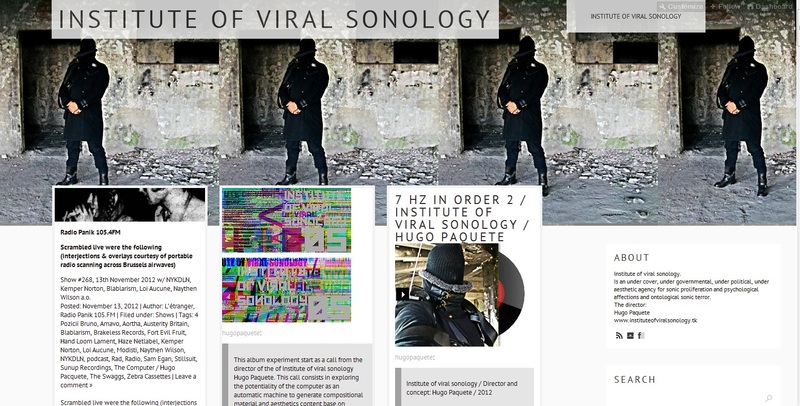 That is an under cover, under governmental, under political, under aesthetic agency for sonic proliferation and psychological affections and sonic terror base in the web exploring collaborative artistic processes and meaning construction. To counter hacking the super performative system of the cybernetics society. Generating aesthetic content and paradox. This work star as a collaborative art experiment relating compositional material and performative musical and visual experiments base in the Institute of viral sonology This material makes part of a documentation from the video performance / Concert developed in New York by representatives from the Institute of Viral sonology. 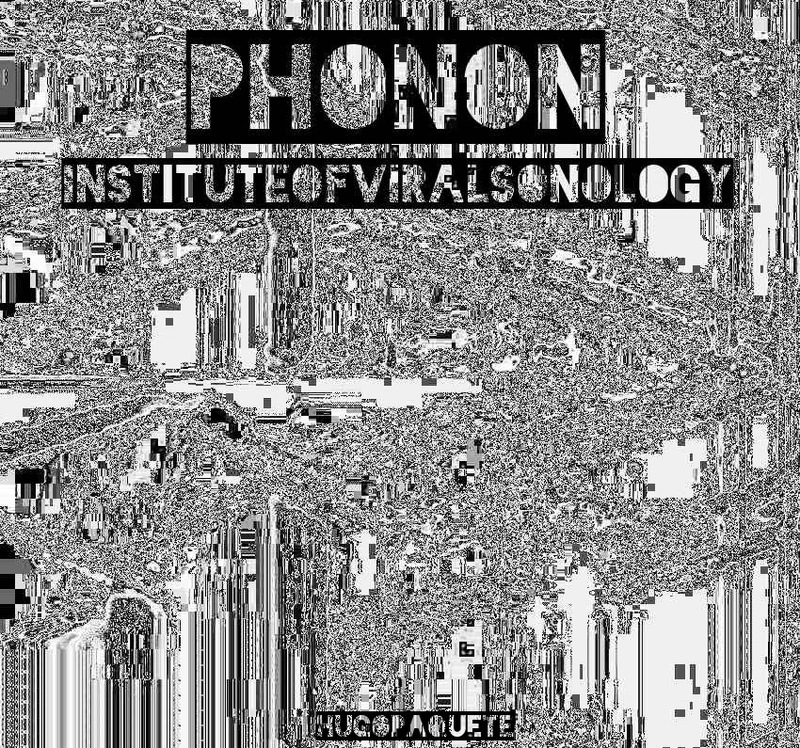 Connecting and collecting different sound and video material from different collaborators and without a previous selection construct a social and artistic possibility to generate aesthetic content base in the power of computer algorithmic to compose in a randomatic aesthetic. This experiments have the objective of hacking the Portuguese national radio station signal with experiments developed with the target of making new approaches in therms of the noise uses to generate a counter information and cognitive amplification that can project a more effective counter point with the media, communicative environments. When logics theories projected in the concepts of a global net society express the supra organizational society of information and informatics. Don't giving space for errors. This project start as a question to taking errors, noises and glitch base sound to generate content, aesthetic or not. That can be understand as a bug in the system with the main target of generating reflexive, and content with the listener that in a abstract, way interact with this sources of counter communicative elements. In the society of the mass order as functionality... The noise elements put the listener in contact with a level of nonsenses anti communicability that is the main trigger as a cognitive experience to make a rupture with the logics of understanding, and in this way opening a more ontological understanding of reality as a source outside of mining. In media society or in supra organizational societies in the globalweb the noise is the element to eliminate, a elements that is to be out of the system pragmatics. As it is in the communicational theories. The noise in this project is taken as a fundamental element to manipulate in side of the system the opening to a more subjective or ontological exploration of the meaning of the system programmatic. Type: Performance / Concert / Sonic considerations about sound practices and performative events. This material makes part of a documentation from the video performance / Concert developed in New York.